Brugh Nuadha (later Lugh Bhrugh) on Turoe Hill (top). Cormac Mac Art's tumulus at Tample/ Cormacuagh (2nd/3rd). Carn Dhearmait (Mac Morna), Newcastle (2nd lower). 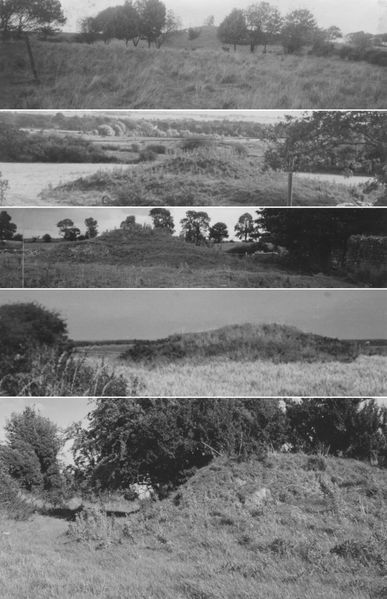 Fert Medba, Queen Medb's recently desecrated tumulus at Rahard/Boyhill, close by Athenry (lower).